Radio Communications Company (RCC) is a system integrator. We maintain a highly experienced engineering staff able to design and implement a wide range of radio systems. If your organization needs just a single repeater, a Countywide P25 trunked system, or something in between, RCC will work with you to develop a solution to meet your needs. Much of the talk in communications today is about digital radio. RCC is here to help guide you through the terms and help you understand how the technology can help meet your requirements. RCC can offer you a fully P25 compliant system solution to meet your stringent public safety operations with a standards-based solution, including repeaters, consoles, and mobile and portable radios. 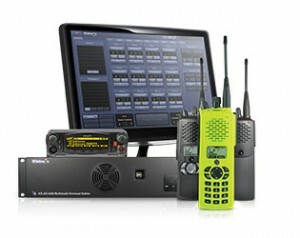 If you are looking for a digital radio solution, but don’t need P25, consider a DMR (Digital Mobile Radio) or NXDN system. Designed for business and industrial users, a DMR (a standards-based protocol) or NXDN (an open proprietary protocol) digital system can provide digital clarity, spectrum efficiency and other operational benefits. If your operations require radio dispatch consoles or Next Generation 911 call taking, RCC offers systems from industry-leading manufacturers. RCC is a system integrator. We maintain a highly experienced engineering staff able to design and implement a wide range of systems..